Blockchain is not just for crypto currencies. Synchronoss Technologies has created a blockchain payment system at the telecom carrier level, which eliminates all the middlemen in the payment processing sector. 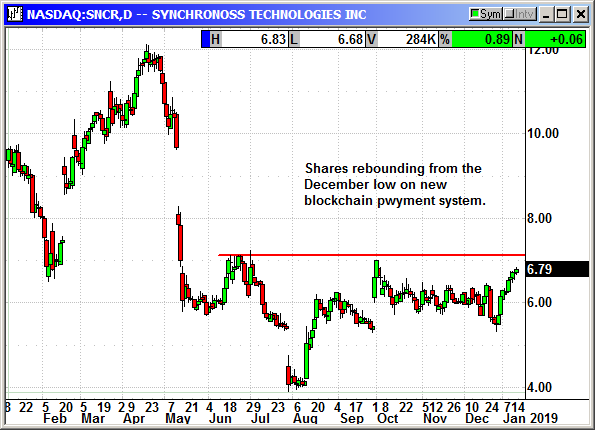 Buy SNCR shares currently $6.79, stop loss $6.15. Optional: Buy March $7.50 call, currently 75 cents, no stop loss.